Hollywood Boulevard, from the new Kodak Theater east to Gower Street, is for tourists. All the businesses there are tourist-oriented. East of that, Hollywood Boulevard is the main drag of an economic ghetto. Sunset Boulevard is a street of businesses that serve either the local residents or the other local businesses. Highland is a major artery to and from the Hollywood Freeway--it’s always busy. So the businesses there are ones that require easy access, but are not geared toward residents. During the eleven years I was a pastor in West Hollywood, I became acutely aware of how much difference there is on the differing streets there. It struck me that utilizing the different character of the streets in Hollywood would give me a broad field to create a setting that would be appropriate to the story I wanted to write. The Phony Friar on Fairfax. 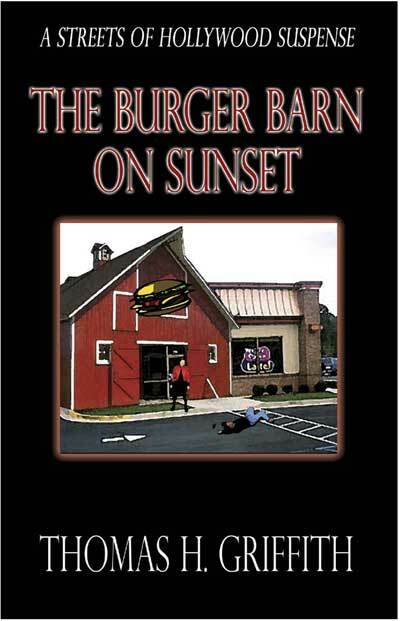 The Burger Barn on Sunset is now available in Paperback! or from your local independent bookseller. Copyright © 2005 Thomas H. Griffith. All rights reserved.